Photo London and Hans P. Kraus Jr. are pleased to present an exhibition which looks at the pioneering work of the British inventor of photography William Henry Fox Talbot and the legacy of this within contemporary photography. 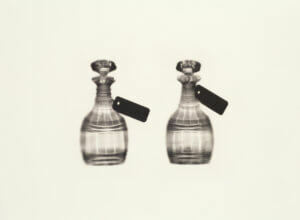 With the opportunity to see vintage Talbot prints alongside contemporary artworks by artists and photographers including Adam Fuss, Cornelia Parker, Hiroshi Sugimoto, Mike Robinson, Grant Romer, Abelardo Morell, Vera Lutter and others, this exhibition reflects on the influence and inspiration of the inventor. 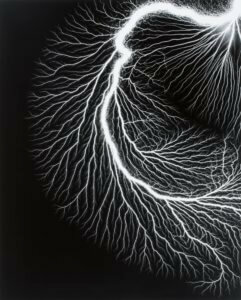 To accompany the exhibition Richard Ovenden, Hans P. Kraus Jr. and Larry J. Schaaf in conversation about Talbot and his Legacy, and Vera Lutter will be speaking with Martin Barnes, Senior Curator of Photographs and Victoria and Albert Museum, as part of the Photo London Talks Programme. 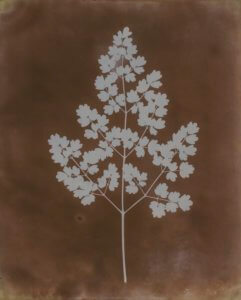 Above left: William Henry Fox Talbot, Thalictrum minus (lesser meadow-rue), probably early 1839. Courtesy of Hans. P. Kraus Jr.